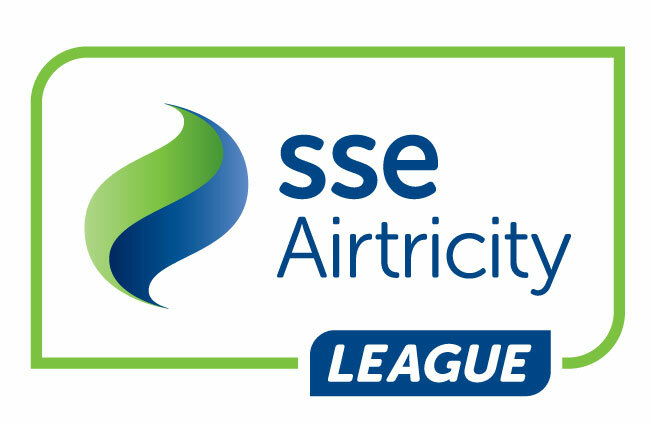 In the latest round of SSE Airtricity League Premier Division fixtures, Waterford FC continued their brilliant start to their first season back in the big time with a huge win over Shamrock Rovers. Elsewhere, there were wins for Bohemians and St. Patrick’s Athletic, while Dundalk continued their strong early season form with a win up in the North-West against Sligo Rovers. In front of a bumper 3,010 RSC crowd and in front of the RTÉ Cameras, Waterford edged their way past Stephen Bradley’s side in a game that was ultimately marred by some questionable refereeing decisions by Paul McLoughlin in the middle of the park. After a frenetic start to the game, new Shamrock Rovers Defender Ally Gilchrist saw red after picking up two yellow cards in the space of as many minutes as Bradley’s "Hoops" went down to ten-men. On reflection, it was clear that the first yellow was a good call by the referee but to suggest the same for the second incident, would be highly impartial. However, the game did go on and it was Courtney Duffus who put Alan Reynolds’ "Blues" ahead on the half hour mark thanks to a close-range finish after some industrious work from Bastien Hery in the Waterford midfield, but soon after, Shamrock Rovers leveled thanks to a fantastic effort from the in-form Graham Burke at the edge of the box. In keeping with the quite incredible pace to the game, Waterford found themselves ahead once again as that man Courtney Duffus got on the end of a Gavan Holohan delivery from the "Blues" wide area to slot the ball through the returning Tomer Chencinski’s legs. To their credit, Rovers pushed for an equaliser, but it was to no avail as Waterford held out to go third in the table, leapfrogging Shamrock Rovers in the process. Bohemians finally got their season back on track with a tightly-fought and fortunate win over a very game and competitive Bray Wanderers at Dalymount Park, thanks to a very late Dinny Corcoran winner. The "Seagulls" took a surprise lead through Daniel Kelly but held on for a mere 60 seconds or so as Ian Morris leveled for Keith Long’s side. Both sides fought bravely in order to secure a potentially morale boosting win but both sides defences looked solid and were unwilling to give away any chances to their opponents. With the game looking all but set to finish out as a 1-1 stalemate, Dinny Corcoran popped up with a late strike to send the majority in attendance at Dalymount into a state of delirium as Keith Long’s men climbed up to 7th place in the table. St. Patrick’s Athletic put an end to their recent poor form with a much-needed 1-0 victory over Tommy Barrett’s Limerick FC at Richmond Park on Friday night. Ian Bermingham grabbed the winner in the 56th minute for the “Supersaints”. It was a much-improved performance from Liam Buckley’s “Saints", but they still struggled to create any real chances of note in a rather quiet and lacklustre first half display for the expectant Richmond Park faithful. However, Pat’s did manage to find a breakthrough in the 56th minute as captain, Ian Bermingham rose highest to head home a Conan Byrne delivery just before the hour mark. After that, both sides struggled to create anything of note as Tommy Barrett’s side were well beaten on the night. In the final Premier Division game of the weekend, as expected, Sligo Rovers fell to a 2-0 home defeat against Stephen Kenny’s “Lilywhites” at the Showgrounds, thanks to goals from Pat Hoban and Michael Duffy on Saturday night. In a game that was marred by a succession of "Bit O’Red" yellow cards that threatened to stem the flow of the game, Dundalk managed to overcome this latest obstacle as Patrick Hoban put his side into the lead on the half hour mark with Michael Duffy then sealing the deal early in the second half. The result sends Dundalk second, just one point behind their bitter rivals from the south, Cork City, as they head into their next game at home to Bohemians at Dalymount Park next weekend. Sligo must try and bounce back with a tough away assignment in Tallaght Stadium in a “Battle of the Rovers”.